OAKLAND, Calif. -- The three officers who were involved in last week's fatal shooting of a carjacking suspect in Oakland have been identified by the Oakland Police Department. On Aug. 12, Officers Jonathon Muniz, Jesse Lawless and John Shackford all discharged their firearms, striking 27-year-old Nathaniel Wilks after he allegedly advanced toward them, armed with a handgun, during a confrontation, police said. Muniz is a 7-year veteran with the department, Lawless is a 6-year veteran and Shackford has been with the department for one year, according to police. 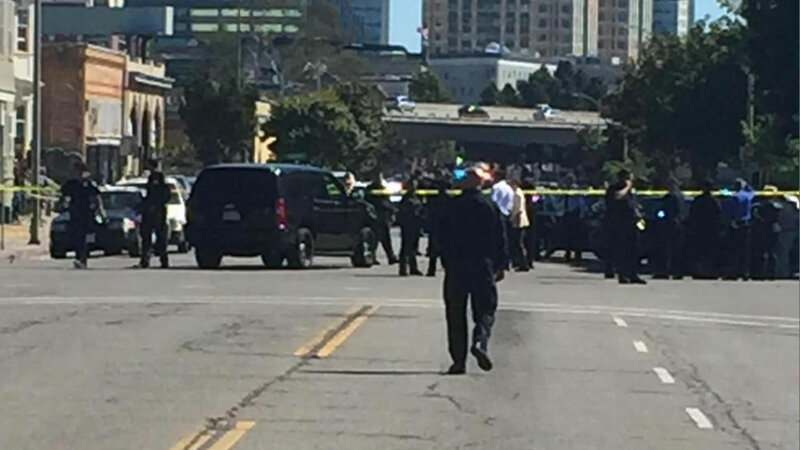 An armed robbery suspect who was allegedly attempting a carjacking this afternoon was shot and killed by Oakland police during a foot pursuit. At 2:39 p.m., officers who were on patrol in the area of 69th Avenue and International Boulevard in East Oakland spotted a vehicle believed to be connected to a previous armed robbery that occurred in the city on July 27, police said. The officers attempted to pull over the driver, identified as Wilks, but he fled, leading police on a pursuit through city streets. An Oakland police helicopter tracked the car during the pursuit, police said. The pursuit lasted about seven miles until Wilks crashed into another car on 27th Street between Northgate Avenue and Martin Luther King Jr. Way, according to police. Wilks then ran from the car and, armed with a handgun, tried to carjack another driver, police said. When arriving officers confronted Wilks, he advanced toward them with the gun in his hand. Muniz, Lawless and Shackford then opened fire, striking Wilks, police said. Wilks was taken to a local hospital, where he was pronounced dead a short time later, according to police. None of the officers were injured during the confrontation. Police said the gun that Wilks was carrying was later determined to have been a loaded 9 mm pistol that was listed as stolen. Police said they don't think Wilks fired the pistol during the confrontation. A preliminary autopsy report determined that Wilks died from gunshot wounds and that the bullets entered the front of his body, according to police. The Oakland Police Department's Homicide Section and Internal Affairs Division is investigating the incident. Additionally, an independent and concurrent investigation is also being conducted by the Alameda County District Attorney's Office.